Filed under web on January 18, 2013. 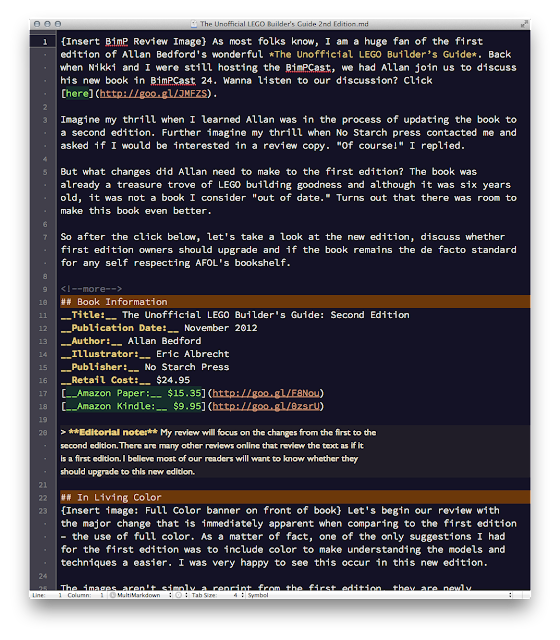 While reviewing Markdown text editors for the iPad during my last post, I had occasion to update the Textastic app. Textastic was not the winner of my round-up; however, it was very close. You can read the review to find out why. Since I still find Textastic to be a capable editor, I keep it on my iPad. During a recent update, Textastic included several new features (but sadly, not the ones I was hoping for). There was one little addition that enhanced my editing not only on the iPad using Textastic, but also on my Mac. 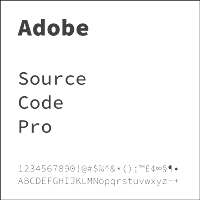 The inclusion of a single Adobe open source font called Source Code Pro. Learn more about this font after the click below. I have to admit, I’m a bit of a font geek. Not one of those, downloading every font I can find and installing on my Mac, but one of those, I love the shapes and styles of fonts and how they interact with objects on a page. I find typography to be an interesting art form and science. 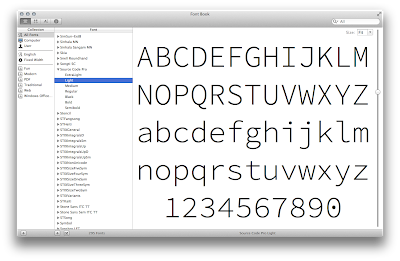 As soon as I discovered Textastic included a new font, I was intrigued. I changed the default font in Textastic and loaded up a file. This new mono-spaced font is gorgeous, as you can see in the image below. The font is now available in any application. I set it as the default font in TextMate 2. you can see the results below. The Google Web Fonts repository includes this font, and I do hope one day Blogger will fix the issue many of us are having with the Blogger template editor so I can use Source Code Pro as my default text for this blog. [Author’s Note: Check out the “Why I moved from Blogger to Jekyll” post to find out why I no longer care. Font choices are alway a very personal decision; however, If you are a coder, Markdown user, or simply a fan of monospaced fonts, you will enjoy the appearance and utility of this wonderful open source font. Well done Adobe! Have another font recommendation? Drop a comment below.